Earning her BFA at Ohio University under the direction of Joe Bova, Charles McWeeny and Brad Schwieger and her MFA through the University of Nebraska-Lincoln with Eddie Dominguez, Gail Kendall and Pete Pinnell, Smith is a studio artist in Lincoln, Nebraska. Amy apprenticed in Massachusetts, curated for University Place Art Center – now LUX Center for the Arts and managed the Lincoln Clay Studio for 6 years – now running under the name Salt Creek Potter’s Workshop. She built and (8 years later) rebuilt her 25 cubic foot natural gas kiln. 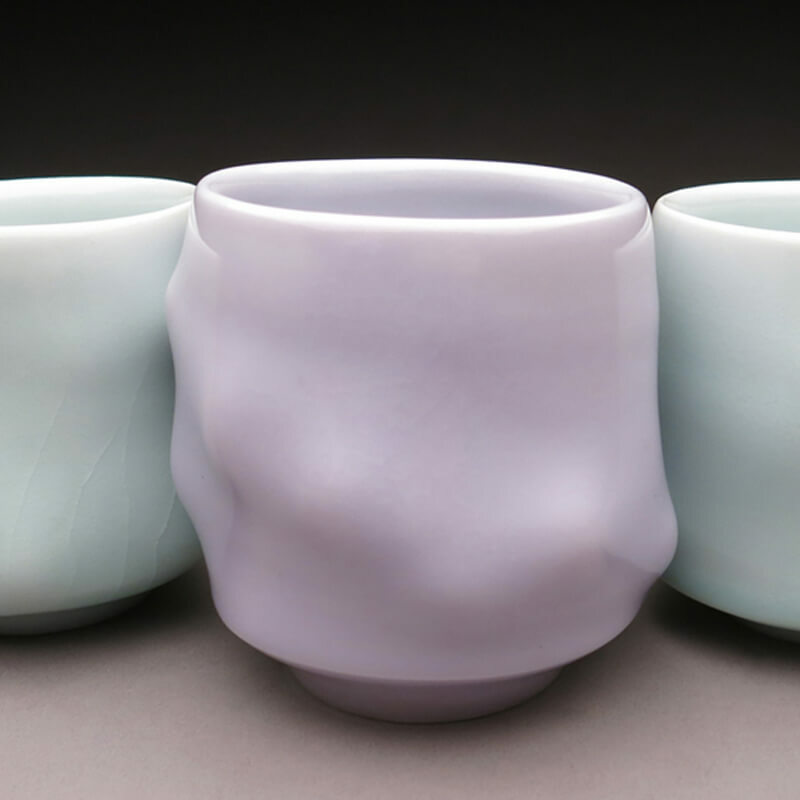 Amy is currently represented by ModernArtsMidwest and exhibits her porcelain vessels nationally including Nancy Markoe Gallery “The Shoulders We Stand On” In conjunction with NCECA, St. Pete Beach, FL. Smith teaches Adjunct at UNL and offers private clay instruction in her home studio. When I work in clay I converse within a sensual, tactile field. The language of clay holds rich vocabulary; it communes nourishment, history, bodily relation, visual delight and form. I synchronize porcelain clay with fluid glazes articulating passion and purity. Texture resembles a runner’s high; color records an encounter with grace. Skill and diligence represent spiritual resolve. My porcelain vessels venerate glory, divulge beauty and reveal my inclination toward touch.